إذا كنت تبحث عن عقار بموقع جيد في المدينة، فقد وجدت ضالتك في Macarthur Chambers Apartments. لا يبعد الفندق كثيراً عن مركز المدينة، فهو يقع على بعد 0.5 km منها. في حين يستغرق الطريق منها إلى المطار حوالي 30 دقيقة. إن سهولة الوصول من الفندق إلى المعالم السياحية الشهيرة الكثيرة في المدينة هو استثنائي بحد ذاته. كما يقدم Macarthur Chambers Apartments الكثير من الخدمات لإغناء رحلتك في المدينة. يقدم العقار واي فاي مجاني في جميع الغرف, خدمة التنظيف يوميًا, خدمة سيارات الأجرة, تسجيل وصول/خروج سريع, تخزين الأمتعة لضمان الراحة القصوى لضيوفه. لقد جهزت هذه الإقامة الفندقية بعناية فائقة لتوفر مستوى عالي من الراحة. في بعض الغرف يجد النزيل تلفزيون بشاشة مسطحة, بياضات, صوفا, مناشف, اتصال لاسلكي بشبكة الإنترنت (مجاني). يقدم الفندق العديد من الفرص للاستجمام كمثل مركز للياقة البدنية, ساونا, حمام سباحة خارجي, سبا, غرفة بخار. مهما كانت دواعي سفرك فإن Macarthur Chambers Apartments هو خيار ممتاز لإقامتك في المدينة. يرجى ملاحظة أن العقار لديه سياسة صارمة "بمنع إقامة الحفلات". مكتب الإستقبال مفتوح من 07:30 AM إلى 06:30 PM خلال أيام الأسبوع و من 08:30 AM إلى 12:30 PM خلال عطلة نهاية الأسبوع. على الضيوف الذين سيصلون خارج هذا التوقيت أن يتواصلوا مباشرة مع العقار قبل وصولهم ليت ترتيب هذا الامر. Historic building. Spacious apartment. Convenient to central Brisbane. Our two bedroom apartment was fine and in a great location, but the furniture is very old and in very poor condition. The cleaners must work in the dark because the state of cleanliness was just not acceptable for a hotel at this price point. We even found bits of food on the carpet! We won't be back. Great location, in the heart of shoppings . Apartment is clean & cozy. Great for families with children. The staff on the reception desk were not very friendly at all especially the man on in the afternoon until 7p.m., never looked up or spoke when we came in or went out of the property. There were exactly 4 of everything in the cutlery drawer, 4 wine glasses and 3 ordinary glasses. 4 of all the china. No tissues or shower cap. For a property of this star rating it does not compare with other properties with the same rating. Aside from the history of the place, it is located right where the action is!!! 2 bedroom unit was spacious and welcoming! Great choice!! Nice roomy apartment in a fantastic central city location, within an easy stroll of everything. My only criticism is that I booked a 2 bedroom apartment for 5 adults (said so in my booking) but when we arrived we were given an apartment without a sofa bed, so we only had beds for 4 of us. Fortunately one of us was able to stay elsewhere so no big crisis but it was annoying. Good service and location. Just walking distance to queens street, public transport and other attraction places. Very clean and large apartment . Friendly staff and helpful. Value for money. 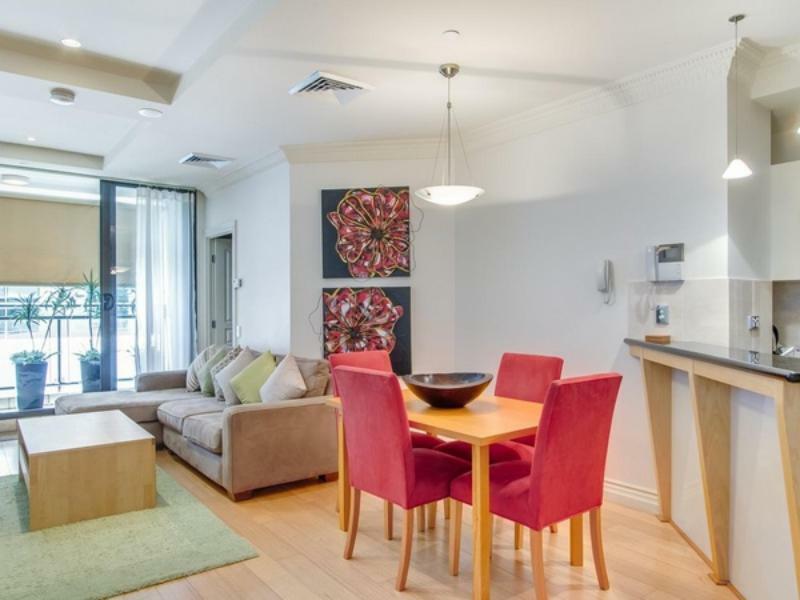 Recommended apartment to stay in Brisbane CBD. Left the shocker and iPhone wire would like to get back ! 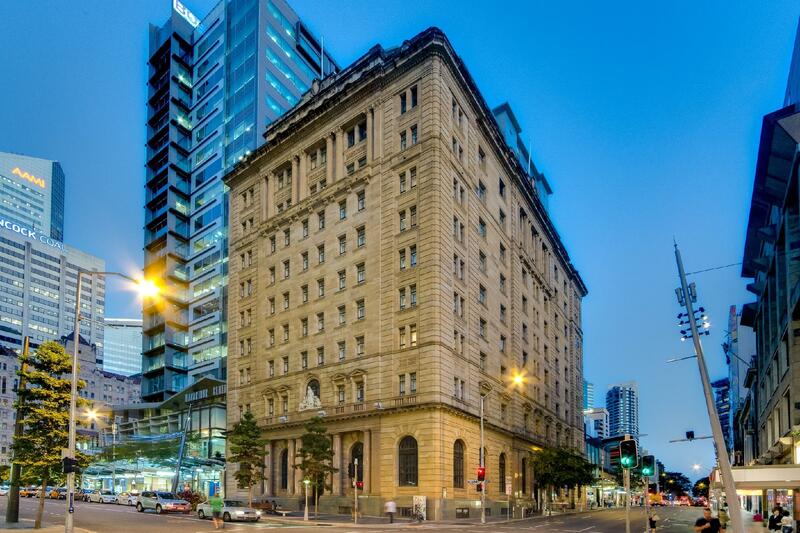 This hotel is all about its Location with queen st mall at its door step . I would stay again . Before check out, must pick-up every garbage. there are two plastic battles and one packaged garbage bag that I forgot to put into garbage can. The hotel charges me 50 AU dollar additional fee. This is the first time I got additional charge for additional cleaning fee because of some garbage. So, the living feeling in this hotel is so terrible. The hotel just send an e-mail to tell me the additional charge that I should pay. I wrote an e-mail to the reception but the reception do not response my e-mail. Great location at the foot of the Queen Street Mall. Huge apartment with all facilities including a laundry. Would happily stay here again.